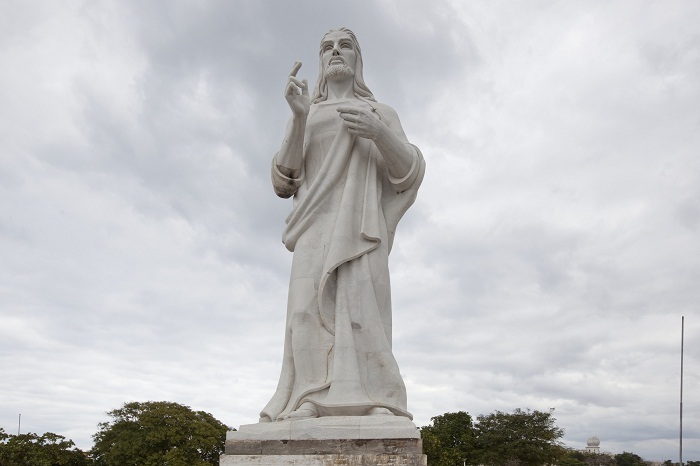 The Christ of Havana, also known by its original name as Cristo de La Habana, is a large sculpture that represents Jesus Christ, and it is located on a hilltop overlooking the capital city of the Republic of Cuba, Havana. 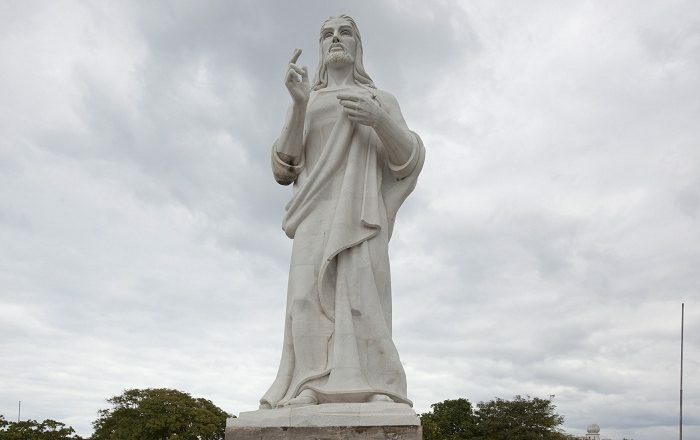 This majestic statue is 20 meters (66 feet) in height, weighting approximately 320 tons, and it is made entirely from white marble from the Italian city of Carrara. 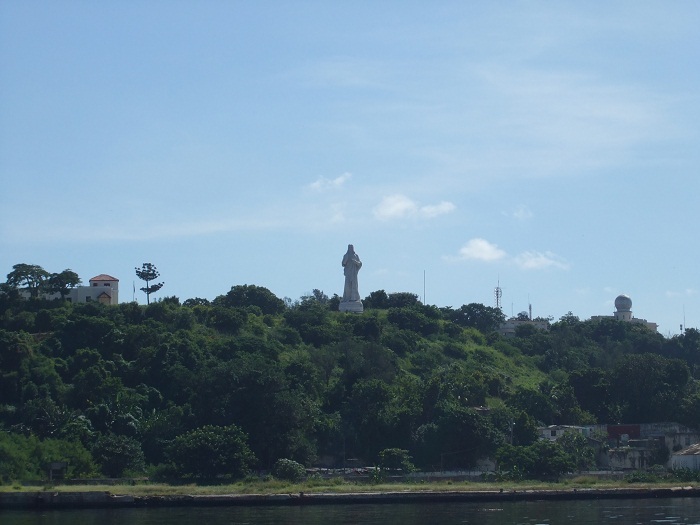 Designed by the Cuban sculptress Jilma Madera, this gigantic masterpiece can be seen from several points from the city. In order to create the statue, Jilma Madera did not have any specific patterns which she followed, but she was simply guided by her ideal of the masculine beauty. 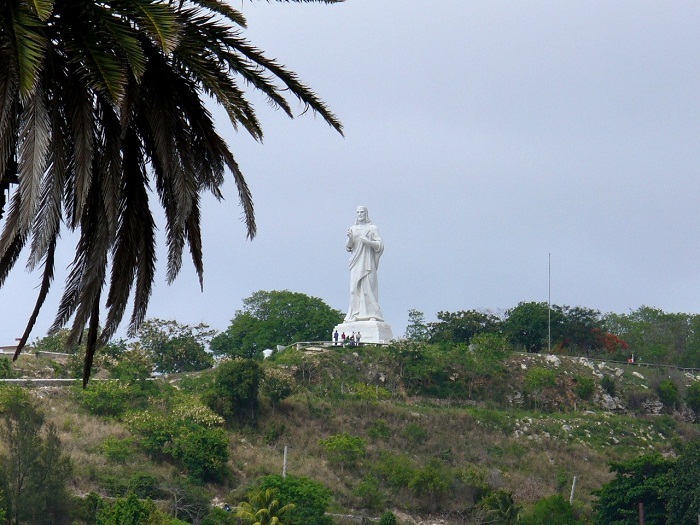 Composed from 67 marble pieces, the statue was put into its present location on Christmas Eve on 24 December 1958, and since then it was hit by lightning three times. After those events, a lightning rod was attached to it, in order to avoid any damages from future lightning storms. 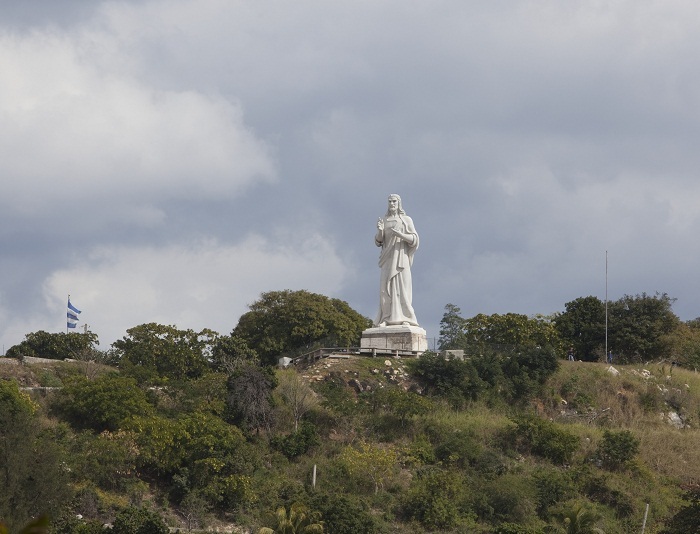 There was a successful restoration project in 2013 carried out by the National Commission of Monuments which made for the statue to look practically new, even though behind it there has been a really turbulent history. 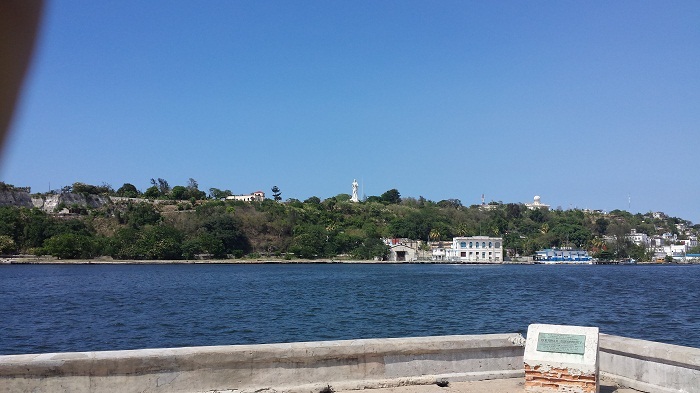 The area around which was created for pedestrians gives impeccable views of Cuba’s capital which are quite inviting when strolling through the photos shared by those who were mesmerized with the great Caribbean nation of Cuba.